Paroedura masobe is the biggest species of the genus Paroedura. They are noctural. Animals have unusual external view, with white-spotted dark skin and big eyes. No one subspecies of P. masobe is known. Paroedura masobe is an interesting ground gecko species. It was described just in 1994, and it remains a jewel in herp collections to present day. Rainforest habitat with branches and cork bark tubes. Vivaria should be at least 0.45 meters (1.5 feet) tall for adults, (I use 0.45 x 0.45 x 0.45 meters (1.5 x 1.5 x 1.5 feet) or 0.45x 0.45 x 0.6 meters (1.5 x 1.5 x 2 feet) Exoterra terrariums). Hatchlings and juveniles can be kept in medium to large “critter keeper” type vivaria. A few live plants are recommended. A setup similar to those use for Uroplatus with the addition of hide spots will work well. Dark, humid hide spots should be provided. I typically use black plastic ones and cover the entrance with a slanted piece or cork bark to keep out light. Peat moss or coconut coir mixed with sand or similar forest type soil mixes. Fluorescent lighting is helpful for plants and to provide a natural light cycle, but UVB or heat lamps are not required or recommended. Temperatures should be moderate to cool. Night temperatures can range from 18-22 °C (65–72 °F) and drops below this during winter are well tolerated. Daytime temperatures of 23-25 °C (74–78 °F) work well. Mist well nightly. Water dish is optional. Misting every evening will create high humidity through the night. Crickets are a good staple. Roaches will be accepted if they are about the size of large crickets. Really large or small prey is often ignored. Females benefit greatly from having land snails and isopods (woodlice) in their diet to provide extra calcium. Hatchlings and juveniles should be fed 4–5 insects every second day. Adults should be fed 4–6 insects 3 times per week. Breeding females should be offered land snails at least twice per month. Isopods can also be fed 2–3 times per month. These geckos should only be handled when necessary to move them between cages for breeding or to deal with health issues. Clean feces regularly. 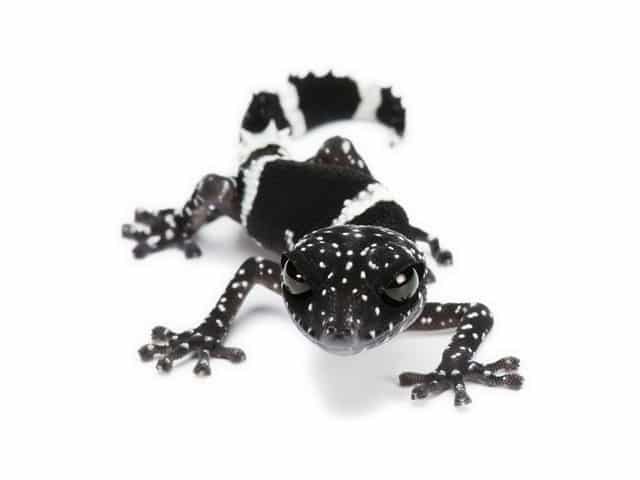 Urates can easily build up in areas where the geckos relieve themselves and will become hard to remove if left to harden. How often you change substrate will depend on how bio-active your vivarium is. If humid hides and regular misting is provided, shedding is rarely a problem. High temperatures and/or low humidity will stress these delicate animals and if prolonged will result in death. A diet consisting solely of crickets may cause nutritional deficiencies. 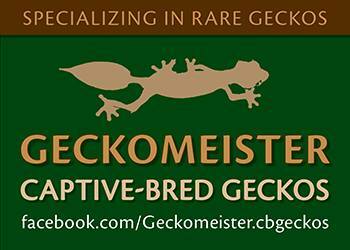 Both wild-caught and captive-bred P. masobe should be treated with care, there is often little warning if one of these geckos is doing poorly, they can decline and pass away very quickly. That being said, acclimated animals can live and breed for several years.